Set Up: Area - 25 x 45 yards. 3 goals set up across each end of the box. 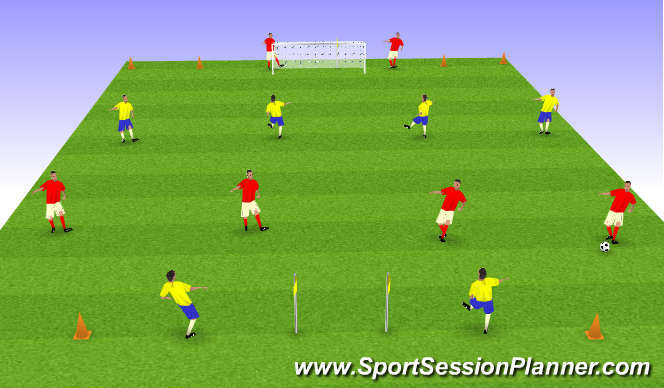 Play 4v4 with 2 strikers positioned between the goals. 4 midfield players must try to play one of their strikers, who in turn must return it back to the midfield before they can score in one of the 3 goals. 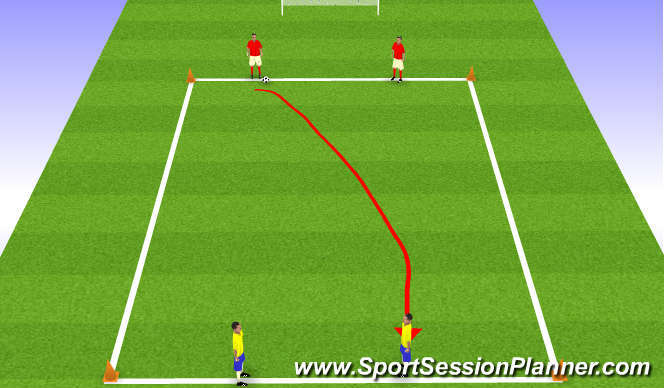 Strikers are limited to 2 touches. Midfield defensive unit must attempt to deny penetration to the strikers. Rotate strikers after a set time. 2 areas. Defensive area 25 yards. Midfield area 35 yards. 4v2 in defensive area, 5v4 in midfield area. 1 target man at end. Supply of balls at target man. one defensive midfield player tracking back. Set Up: 3 areas marked out. 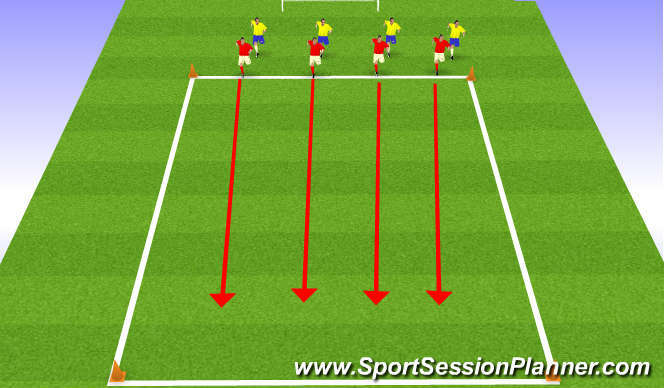 2v1 in defending zones and 4v4 in midfield zone. 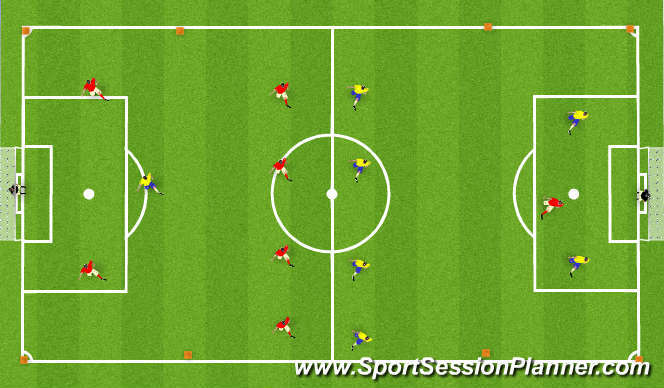 Midfield zone is the largest in size due to this being the main theme of the session. 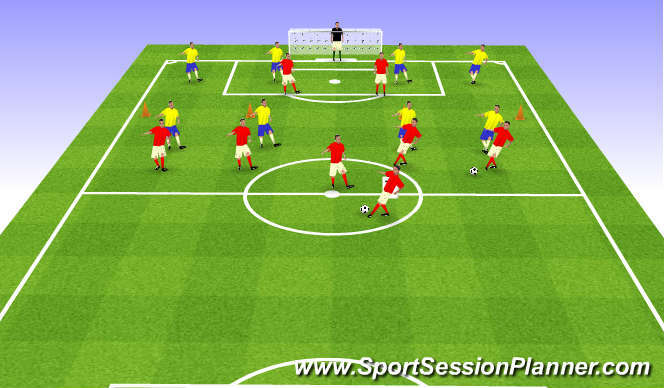 Players play in this formation although players are alllowed to move freely in and out of their areas. The only condition being that they go back into their area after the play breaks down (when a goal is scored). Free play.